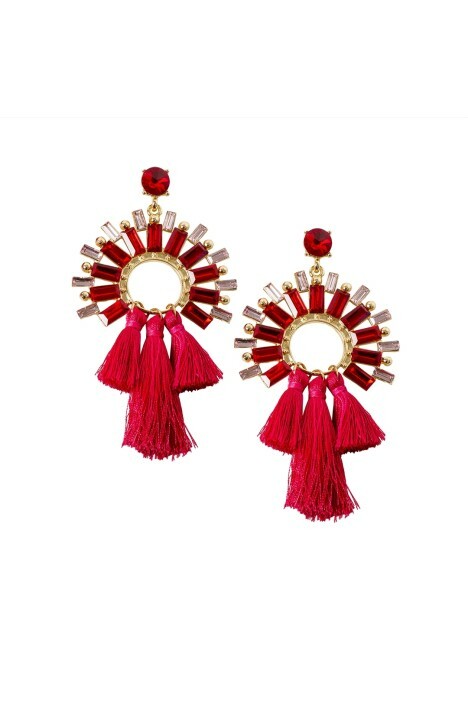 For the fun and adventurous girl, these hot red tassel earrings are a must-have! Featuring bright red hues and silky tassels drop earrings, it’s the perfect addition to your outfit for an upcoming night out with the girls or festival event! Pair these bright earrings with a little black dress for a pop of colour! Or rent a cute mini playsuit for a festival event. Add a red fascinator available to hire to follow the colour scheme and keep makeup simple for a softer look. Read style tips on what to wear to a concert.